Mark Wahlberg recently announced he graduated from high school at the age of 42, having finally earned his diploma in June. "I can now look at my kids every day knowing that I didn't just do this for me — I did it for them," Wahlberg said in an article he penned for the Huffington Post. "And I did it for all the other teens and adults who have inspired me by their commitment to graduate," the actor added, referring to the students he works with in Taco Bell's Graduate for Mas program as well as his own youth foundation. It's an inspiring story. And yet, there's still a slew of celebs who never got that diploma, nor do they seem to want it. (Looks like things are working out for them regardless). Here's just a few of the famous actors, actresses and musicians who never wore their caps and gowns. By some accounts, Marlon Brando was expelled from his first high school for riding a motorcycle through the halls. Whatever the reason, he didn't graduate from Libertyville Township High, and shortly after his father placed him in military school, he got expelled. At 17, Pacino dropped out of NYC's High School of the Performing Arts (the school that inspired the movie "Fame") to pursue his career. Travolta left his New Jersey high school to study acting, singing and dancing in NYC. Ironically, at 21, he got his big break when he was chosen to star as a high school student in "Welcome Back, Kotter." The celebrity chef left school at 14 to become an apprentice with a hotel chef in Austria. 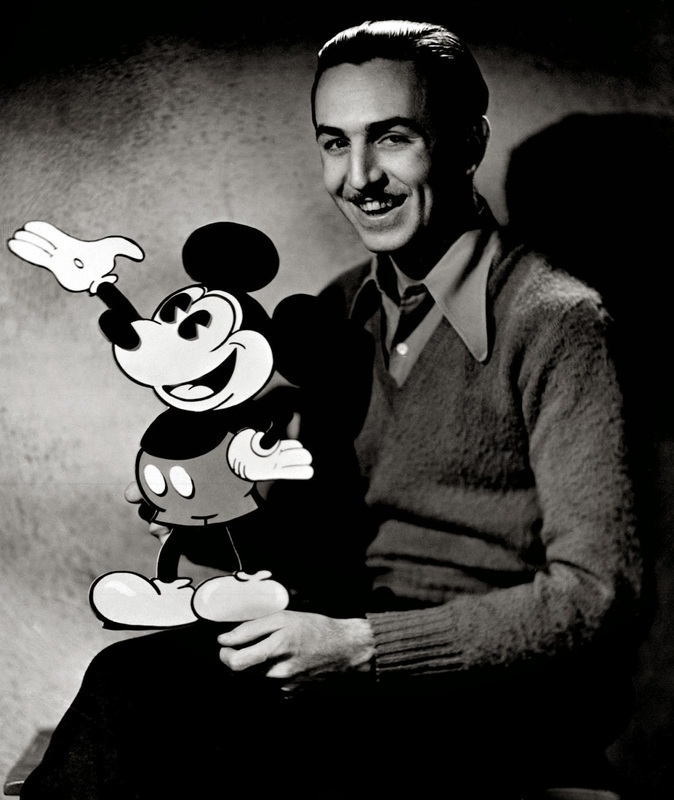 Walt Disney hated high school so much that he sent a letter to his principal telling him how "disgusted" he was by it. He left by the age of 16, then tried to enlist in the Navy (he was rejected because of his age) before forging his enlistment documents and joining the Red Cross Ambulance Corps. 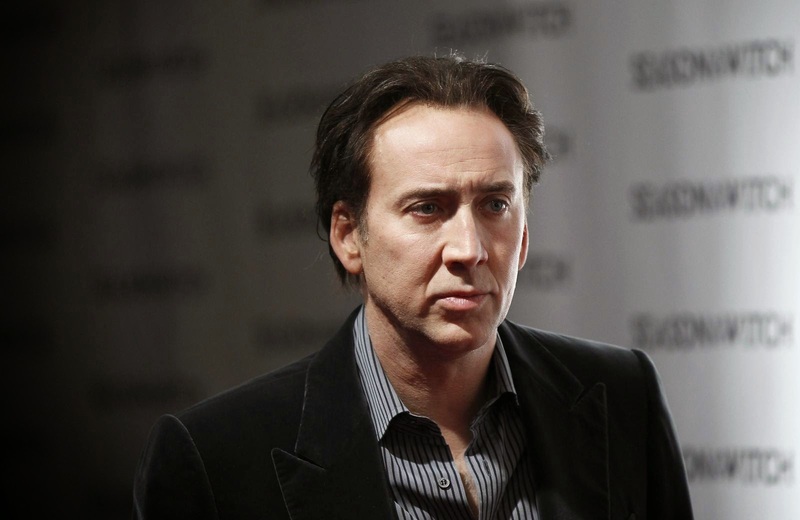 Nicolas Cage, then known as Nicolas Coppola, dropped out of Beverly Hills High at 16. 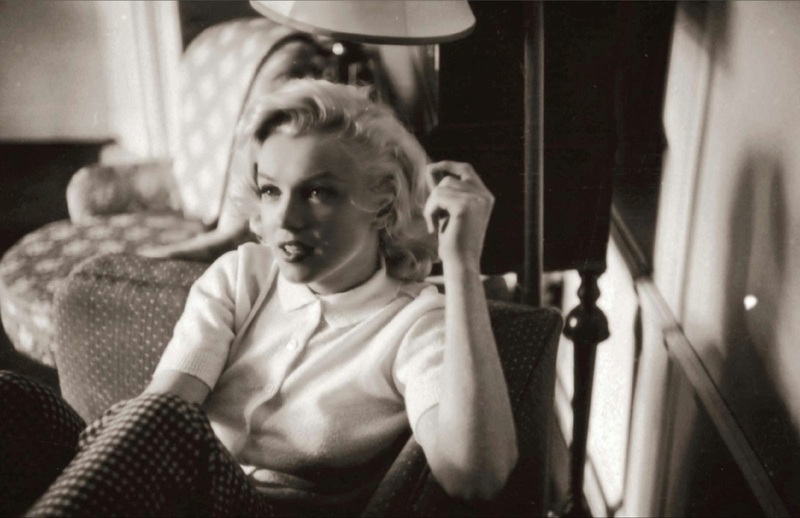 Marilyn Monroe, or Norma Jeane Baker as she was known at the time, entered Van Nuys High School in 1941. Less than two years later, she left school altogether to marry her first husband. Gosling dropped out of school at 17 and moved from Canada to Los Angeles to pursue acting. 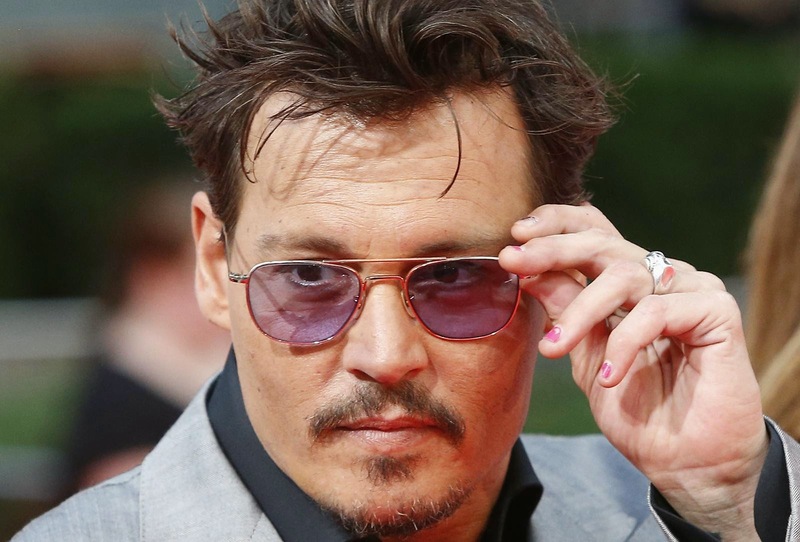 Depp left high school around 15, then tried to return a few weeks later only to be told to "run with" his dream of being a musician by his school's dean. The actress dropped out of South Pasadena High School after teachers constantly complained of her incessant talking. Rogen left high school at 16 to star in "Freaks and Geeks," on which he played high school student Ken Miller. Eminem never made it past the ninth grade, which he was set to repeat for a third time due to his unexcused absences. At 16, Downey dropped out of Santa Monica High School and headed back to his hometown of New York City to pursue acting. De Niro stopped attending high school in 1960, opting instead to study acting at the Stella Adler Conservatory. He took night classes for a while, but he still never graduated. 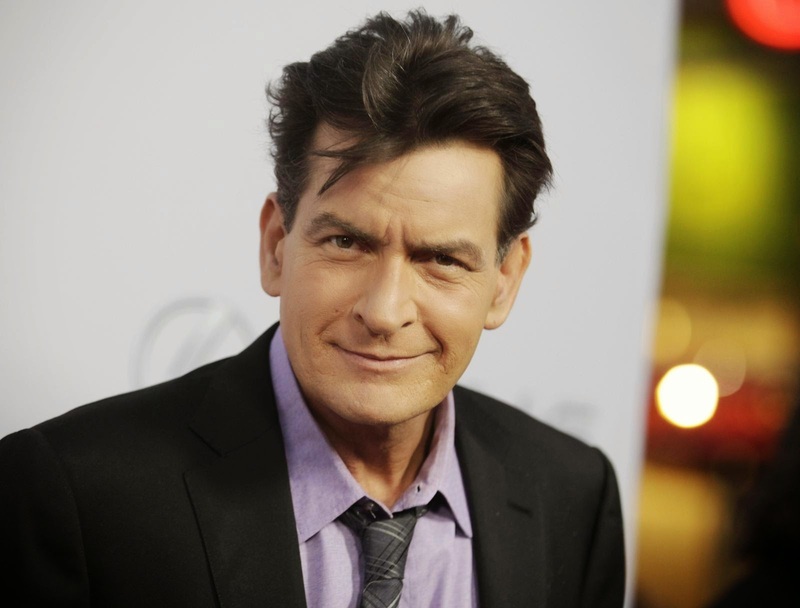 Sheen was only a few weeks shy of graduating from Santa Monica High School when he was expelled for poor grades and attendance. Bündchen stopped her schooling at age 14 after a scout from Elite Model Management spotted her at a mall food court and convinced her to make modeling her career. Jim Carrey dropped out of school on his 16th birthday, and "immediately" went to a comedy club. Despite not graduating high school and not being on the reunion committee's "stinking mailing list," Roseanne was invited to her high school reunion by a caller on "Larry King Live." The director left school at 15, or somewhere "towards the beginning of ninth grade" in order to take acting classes and do community theater. The billionaire quit boarding school when he was 16 to start a youth-culture magazine, ironically titled "Student." Media mogul Rupert Murdoch elevated his two sons, Lachlan and James, to senior roles within 21st Century Fox Inc., FOXA -1.35% signaling both are likely to play a role in the long-term future of the Murdoch family-controlled entertainment company. 21st Century Fox named Lachlan Murdoch, 42 years old, as nonexecutive co-chairman, alongside his father, who is chairman and chief executive. The company simultaneously promoted James Murdoch, 41, to be co-chief operating officer, alongside current COO and president Chase Carey. James Murdoch, who was previously deputy COO and chairman and CEO, International, will continue to report to Mr. Carey. Lachlan Murdoch on Wednesday also was named nonexecutive co-chairman at News Corp, NWSA -1.90% the print media concern that separated from 21st Century Fox last June and retained the old name of the original conglomerate. News Corp owns The Wall Street Journal. The appointments come a couple of weeks after the elder Mr. Murdoch turned 83. Mr. Murdoch and his family have effective control of both News Corp and 21st Century Fox, through voting stakes of 39.4% in each company. The appointments return Lachlan Murdoch to a more formal role at the family's business empire nine years after he quit his executive role at News Corp. and relocated to Sydney, Australia. But the near term practical significance may be greater for his brother James, reinforcing his operational role within 21st Century Fox. 21st Century Fox said Fox Networks Group, which includes Fox broadcast network, FX and Fox Sports, would now report to James Murdoch. He will also have "direct responsibility" for the development of 21st Century Fox's interests in "the pay-television Sky and Star services in Europe and Asia," the company said. In recent years James Murdoch came under criticism, including from the U.K. communications regulator, for his handling of phone-hacking allegations at News Corp's U.K. newspaper unit, where he was executive chairman. While James and his father faced questioning by a U.K. parliamentary committee, neither has been accused of any wrongdoing. A spokesperson for 21st Century Fox, speaking on behalf of James Murdoch, declined to comment. The day-to-day impact of Lachlan Murdoch's appointment is less clear. He was already a director of both 21st Century Fox and News Corp.
21st Century Fox said he would split his time between Sydney and New York. The appointment suggests he will be more engaged with the Murdoch family's business empire, which encompasses television networks, a film studio, cable channels and newspapers around the world. 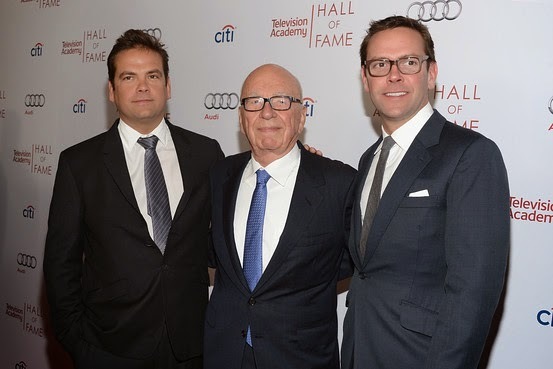 21st Century Fox said Lachlan Murdoch "will work closely with senior management and the rest of the 21st Century Fox board in developing global strategies and guiding the overall corporate agenda." Under Australian regulations, Lachlan Murdoch was required to step down from the board of Australian broadcaster Ten Network Holdings Ltd. TEN.AU -1.85% to become nonexecutive co-chairman at News Corp and 21st Century Fox, according to a person familiar with the matter. He owns about 9% of Ten Network. 21st Century Fox is in the process of negotiating the renewal of Mr. Carey's contract, which expires this June. A spokesperson for 21st Century Fox said the company was "confident" the new contract "will be completed shortly." Mr. Carey wasn't available for comment on the contract talks. Residents of a tiny island in the middle of the Indian Ocean say they saw a “low-flying jumbo jet’’ four hours after Malaysia Airlines Flight MH370 vanished from radar for the last time, according to a report Tuesday. The residents live on the remote island of Kudahuvadhoo in the Maldives — which has an international runway that was among five that the plane’s pilot had used for practice on his home flight simulator, according to the Malaysian daily newspaper Berita Harian. Kudahuvadhoo residents told the paper that the massive plane they saw rumbling above them at around 6:20 a.m. March 8 had Malaysia Airlines’ trademark white body and red stripes. Malaysian officials denied the report on Wednesday. • The missing jet’s captain, Zaharie Ahmad Shah, selected five runways to practice on on his home simulator: the Male International Airport in the Maldives, the US military base Diego Garcia to its south, and three airports in India and Sri Lanka, according to Berita Harian reports. “We are not discounting the possibility that the plane landed on a runway that might not be heavily monitored, in addition to the theories that the plane landed on sea, in the hills, or in an open space,’’ an unidentified Malaysian official told the daily. • Just 30 minutes after the airplane’s communication with Malaysian air traffic controllers was cut off, the jet was picked up on Thai military radar, but Thai authorities never told investigators until this week — arguing that they were never asked about it. • The mind-boggling size of the search area for the missing Boeing 777, which carried 239 passengers and crew, now stands at nearly 3 million miles, north across Asia and west across the Indian Ocean — almost the size of the continental United States. • Adding to the urgency of finding the aircraft is the fact that its black box can ping for only about a month, meaning it’s already lost about a third of its battery power. Meanwhile, it emerged that co-pilot Fariq Abdul Hamid, 27, had been planning to marry before he disappeared, according to a report in the Malaysian newspaper Daily Express. Officials have yet to back off their theory that it was likely the pilot or co-pilot — or at least someone on board who was extremely knowledgeable about flying — who brought down the plane. Early Wednesday, Malaysia’s defense minister said files were recently deleted from the pilot’s home flight simulator. Hishammuddin Hussein told a news conference Wednesday that investigators are trying to retrieve the files. He also said that the pilot is innocent until proven guilty of any wrongdoing. Hishammuddin said background checks have been received from overseas agencies for all foreign passengers on the plane except for those from Ukraine and Russia — which accounted for three passengers. He says none of the checks has turned up anything suspicious. Jason McInerney and his wife, Melissa, recently tapped their lunch orders onto a touchscreen at the entrance to the Be Our Guest restaurant at Florida's Walt Disney World Resort and were told to take any open seat. Moments later a food server appeared at their table with their croque-monsieur and carved turkey sandwiches. Asks McInerney, a once-a-year visitor to Disney theme parks: "How did they know where we were sitting?" The answer was on the electronic bands the couple wore on their wrists. That's the magic of the MyMagic+, Walt Disney's (DIS) $1 billion experiment in crowd control, data collection, and wearable technology that could change the way people play -- and spend -- at the "Most Magical Place on Earth." If the system works, it could be copied not only by other theme parks but also by museums, zoos, airports and malls. "It's a complete game changer," says Douglas Quinby, vice president for research at PhoCusWright, a travel consulting firm. That would suit Disney just fine, as it expands its global empire of theme parks and kicks up efforts to fend off rivals. The most formidable is Comcast's (CMCSA) Universal Studios, which this summer will unveil a massive expansion of its hit Wizarding World of Harry Potter attraction at its parks near Walt Disney World. One hitch for Disney could be if devotees such as the McInerneys find MyMagic+ confining, confusing or even a bit creepy. Some have lit into it with such vigor on Facebook (FB) and blogs such as micechat.com that Kevin Yee, a former Disney World employee who operates the travel website UltimateOrlando.com,​ called their grievances "a rolling boulder . . . and it's going to be difficult to stop completely." Change is always tricky for Disney, especially at its parks, where introducing a new brand of coffee can spark a revolt by fans. Unhappy mouseketeers last year began a petition drive to keep Disneyland in January from pulling the Billy Hill and the Hillbillies show after 21 years (it didn't work). Others marched on the park's City Hall in 2004 after recalibrations made to the Mad Tea Party ride in the name of safety slowed it down. MyMagic+ promises far more radical change. It's a sweeping reservation and ride planning system that allows for bookings months in advance on a website or smartphone app. Bracelets called MagicBands, which link electronically to an encrypted database of visitor information, serve as admission tickets, hotel keys, and credit or debit cards; a tap against a sensor pays for food or trinkets. The bands have radio frequency identification (RFID) chips -- which critics derisively call spychips because of their ability to monitor people and things. That tracking power also is what makes them so important for Disney's $14.1 billion theme park and resort business. Intelligence collected using the bands coupled with what visitors input into the related My Disney Experience app and website -- all voluntary -- help Disney determine when to add more staff at rides, what restaurants should serve, which souvenirs should be stocked, and how many employees in costume should roam around at any given time. Data about customer preferences could be used to craft e-mails or text messages alerting them to restaurant menu changes or sudden openings for reservations in an expedited queue at Space Mountain or the Twilight Zone Tower of Terror. The goal is to offer people what Tom Staggs, head of the company's parks and resorts unit, calls "a more immersive, more seamless, and more personal experience" -- allowing Disney employees to address a child by name, for example, or wish someone a happy birthday. "The implications for big data and for personalization are extraordinary," says Quinby. 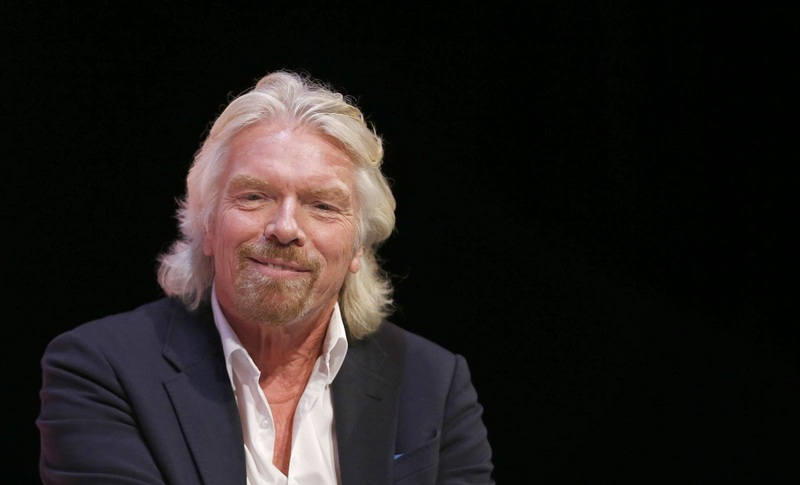 "It could radically change interaction between customers and the company." Moreover, visitors with full Disney World schedules mapped out in advance on the MyMagic+ system will be less likely to jump spontaneously to one of the dozens of other attractions in Central Florida, including five SeaWorld Entertainment (SEAS) parks and a Legoland. And, of course, the MagicBands make it so easy to spend. "When you make (the logistics) easier, people tend to spend more time on entertainment and more time on consumables -- be that food and beverage, merchandise, etc.," Disney Chief Financial Officer Jay Rasulo said in a November investor call. "We do expect this to be a . . . growingly positive impact on our business in the years to come." Chief Executive Officer Robert Iger told analysts in February that the new system helped the Magic Kingdom park accommodate 3,000 additional daily guests during the Christmas holiday season by reducing congestion around the most popular attractions. "I'd say the biggest impact is, one, being able to accommodate more people because it's just more efficient," Iger said, "and second, enabling guests to have a substantially better experience than they've had before because they're doing more." Many Disney fans are already sold. "I think this in the end is going to make Disney better," says Jamie Landry, a Boston police officer who visits Disney World with his wife and daughter every year. He was floating in the pool at Disney's on-site Coronado Springs Resort hotel, appreciating his waterproof MagicBand, which allows him never to carry identification or room keys or credit cards. That's not how many critics have reacted in the blogosphere. The harshest complaints are directed at FastPass+, a way of reducing wait times for popular rides. Under the original FastPass -- introduced in 1999 and still used at Disney's other parks -- a visitor could race around to collect more than six paper reservation slips a day at kiosks outside the most popular attractions, show up at a time printed on the slip, and get into a theoretically shorter queue. The new system, while letting guests at Disney hotels book reservations months in advance via the My Disney Experience app and website, limits all visitors' reserve-ahead slots to three per day. That unleashed a torrent of objections that Disney is limiting the number of reservations guests can make for its most popular attractions, and that the lines are as long as ever. Still, Tom Burnet, CEO of Accesso Technology Group, which makes queue management systems for theme parks, says his company's experience with ride scheduling at parks in Europe is that people don't like to schedule their days in advance. "One of the joys of being in a theme park is you're not on a schedule," he says. That's been part of Disney World's appeal for Clayton Cannon, who lives about an hour's drive away in Daytona Beach and holds an annual pass. His gripe is that MyMagic+ puts day-trippers like him and others who don't plan ahead at a disadvantage. "Magic Kingdom was definitely a worse experience," he says about a recent visit. "You used to be able to get there at 3 or 5 p.m. and still get a FastPass. Now all the FastPasses for top rides are being wiped out by 10 in the morning." Despite such grousing, hospitality experts say that the use of more monitoring technology is only a matter of time. Explains Accesso's Burnet: "Where Disney goes, other people follow."